Formaro cooks up an engaging romantic tale about how food can win the heart. 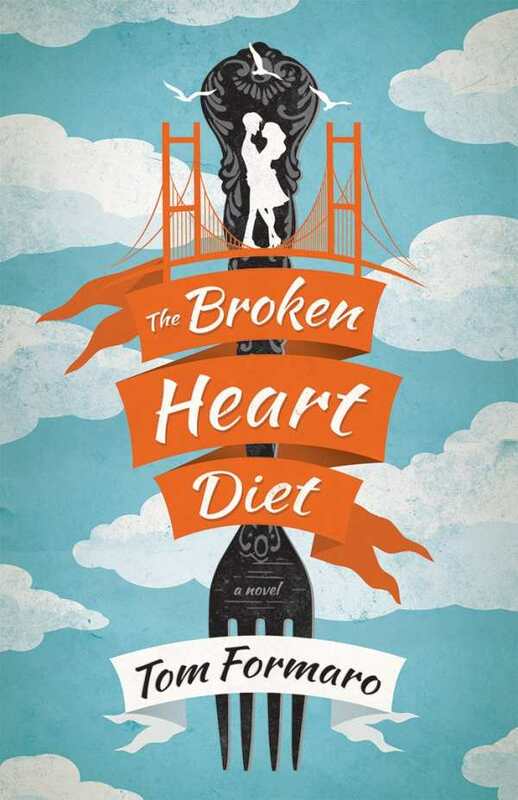 The Broken Heart Diet by Tom Formaro is an uplifting and heartwarming romance that chronicles the relationship struggles of the angst-ridden Dante, a chef in San Francisco. Dante’s dreams seem to be coming true: He is about to open his own restaurant in San Francisco, and he’s going to propose to the love of his life, Abby. When Abby tells him she’s leaving to take a job at Cook Network in New York, Dante is left heartbroken. To help him get over his heartache, the spirit of his grandmother, Nonna Isabella, who taught him to cook, visits. She cooks for him and offers words of wisdom and reassurance that he will love again. Nonna’s advice helps him get off his “broken heart diet,” and he is inspired to help others do the same. On Valentine’s Day, he holds a Feast of the Broken Hearts at the restaurant for single people and soon becomes known for his ability to cure a broken heart through food and companionship. Media outlets nationwide seek him out for interviews to talk about his special abilities. Crowds flock to the restaurant, which raises his profile and draws the attention of executives at Cook Network. When offered his own cooking show on the network, Dante comes face to face with Abby, and she makes it clear she still has feelings for him—but Dante already has eyes for another, his longtime friend, Charly. Seeing Abby again, he’s unsure of his feelings for either woman. Dante decides to try to win Charly’s love, and the plot devolves into a farcical series of events. The scenes are comical and entertaining but cartoonish, unlike earlier lighthearted and humorous events that are more plausible. The antics seem out of character for Dante, and they are out of place from the earnest tone established in the narrative. Still, the well-developed characters are easy to relate to and root for, especially Dante, who is always warm and witty. Distinct character traits differentiate fickle Abby from loyal Charly and make Dante’s dilemma in having to choose between them believable. A strong sense of community is established among Dante and the peripheral characters, primarily his coworkers at the restaurant. Pacing is quick in the first quarter of the novel, but when Dante has a difficult time letting Abby go, the scenes become repetitive as he tries to move on, returns to her, gets rejected, and tries to move on again, only to return once more. A similar will-they-or-won’t-they story arc with Charly becomes repetitive too. The Broken Heart Diet is an engaging romantic tale, and it transcends the formula typical of the genre with its many life lessons thrown in to the recipe. It reinforces the healing aspects of food and its ability to bring people together—and is a reminder that the way to people’s hearts is through their stomachs, but only if the cooking is done with love.